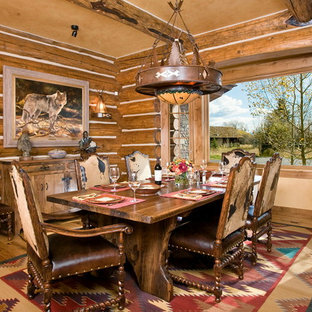 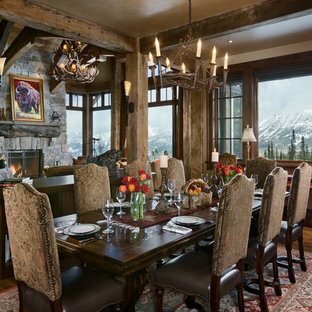 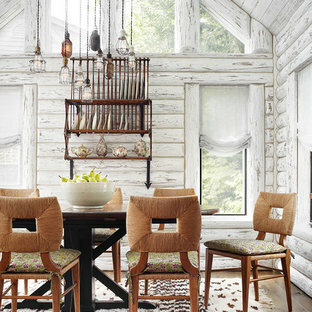 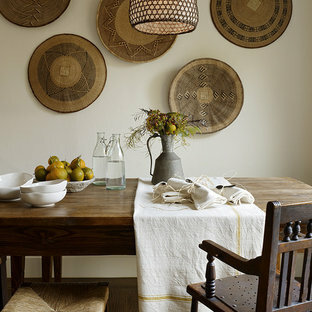 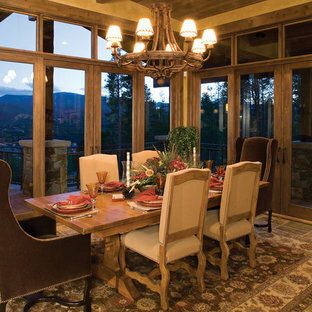 The view commands the decor in this stunning dining room. 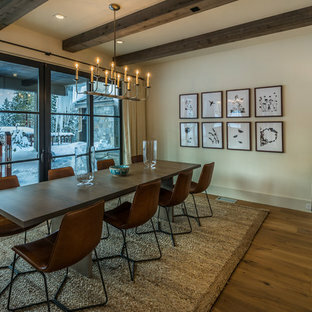 This modern dining room provides the perfect space to entertain. 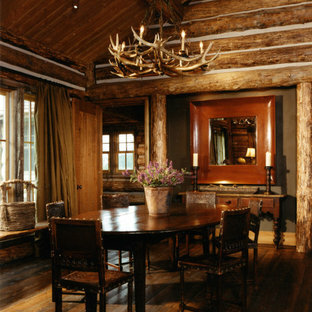 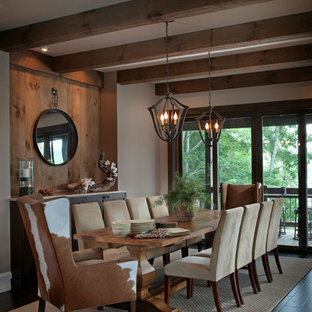 A mixture of materials and heavy timber beams provide another example of Modern Rustic Living.